Work on a new park at the heart of Bognor Regis could begin next spring and be completed by the summer of 2021. Environmental consultancy LUC has been tasked to come up with a scheme for the Sunken Gardens next to Hothamton Car Park on behalf of Arun District Council. The new park is set to called the Pavilion Park after a public vote. The project has previously been known as the Linear Park. LUC was the landscape architect and masterplanner for the Eden Project in Cornwall and the company’s other projects include the Diana, Princess of Wales Memorial Playground in Kensington Gardens, Tumbling Bay Playground in the Olympic Park in London and The Level in Brighton. He was giving a presentation to Arun District Council’s Bognor Regis regeneration sub-committee on Monday (January 28). The current timescales would see engagement with the public on concept designs later this year with a planning application due to be submitted in the summer. 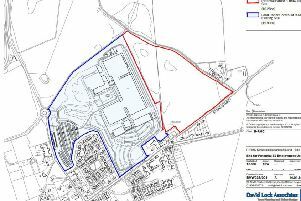 It is anticipated if permission is granted for the scheme a contractor would be appointed in spring 2020 with the project then completed in the summer of 2021. Phil Hitchins (Con, Aldwick West), chairman of the committee, said: “I’m impressed with what you have been doing. The project has not been without controversy as Lib Dem councillors have been campaigning to save the Sunken Gardens, while Labour town councillor Jan Cosgrove has repeatedly accused Arun of ‘not listening’. Matt Stanley (LDem, Marine) asked about what input residents would have into the design and concepts for the new park. Mr Massey said that the stakeholder engagement would be about ‘listening and responding as best as we can’. Mr Stanley described how there were a ‘large amount of people’ concerned about the development of the current garden which is ‘very different from a park’. In response Mr Hitchins said that while the concept of a new park would not change the content can change.